How do you feel? Take a moment to integrate the information and lessons that you have learned over the past month into your life completely. It may take some time to feel and know what changes you have made or may still need to make. Behavior and thought process changes enhance our states of being. Above all, I hope that this time has brought about compassion for yourself and others. Love is so much more than warm fuzzy feelings. It is the basis of our existence. Through love we find ourselves. Through love we find our purpose. Are you ready for that love energy to come pouring into your home by decorating according to Feng Shui? Then let’s get started. The number one important thing you can do is discover items that you associate with love. Are they seashells from your favorite body of water? Daisy’s from your garden? Soft peaches, blues, and green colors? Figure out what those items are so you have a go set of pieces that automatically make you feel loved. You can add these items to personalize the energy you are sending out and receiving. Lights, Mirrors, Reflection: These items can be used to enhance space, lighten up the energy in a room, reflect negative energy outside of the space or open it up for more light. Ideally you want to face towards a door or opening in a room but if that isn’t possible you can place a mirror in or on the opposing wall to balance the room. Are you finding that you are often feeling confused about what your relationships? Make sure you have a well lit ventilated love portion of the home. Sound: Feeling as if your love life is stuck? Then you may want to invest in some bells, chimes, or fountains. These items encourage movement of energy. If you find yourself in a sexual rut the flowing sounds may be what you need to get the juices going. The days are getting noticeably longer. The sun is stretching its legs preparing for it’s return to the center stage. Winter’s last moments are cuddling us close. Wrapping us up in its earthly embrace before we are released to plant the seeds of our winter dreams. This full moon in Virgo is a time of new beginnings and renewal. When the new, blood, blue moon lunar eclipse happened in late January it was time to close the book on our old stories. If you had not done this during the full moon solar eclipse this process may have been energetically taxing and painful. If you had taken the steps of release during summer 2017, you are starting to see the purpose behind why you experienced what you did. During the Leo full moon in February we gained clarity. The person we thought we were, could be, or should be was released or integrated. Whatever process needed to happen to prepare us for our rebirth occurred. The garden is full of fresh new earth. The bushes and trees have been cut back. The older plants pulled up and composted so that they can feed the new dreams that are waiting to be birthed. What did you dream up this winter? Let’s take stock of what we will be birthing this year. Below you’ll find five categories to get you started. Reflect upon where you want to see growth in these area’s and feel free to add your own or dive deeply into as many or few as you desire. Describe and define what a healthy diet looks like for you. Find several physical activities that you enjoy and integrate them into your daily practice. What is your spiritual practice? Does it include prayer, meditation, song, dance, time in nature? How ever you express your spirituality, where would you like to expand and grow? Examine your relationships with your family, lovers, and partner(s). What do you want these relationships to look like, feel like, more towards? Is your career on track for where you would like to be 1, 5, and 10 years from now? Are there any classes or courses you would like to attend in the next year? Take 2 personality tests this year so you can better understand yourself and others. Have your astrology, numerology, tarot, oracle, and akashic records read for you. How do your finances look? Now that we’ve found the love and relationships portion of your home, I know you can’t wait to start arranging the items in that space to create a specific energy. 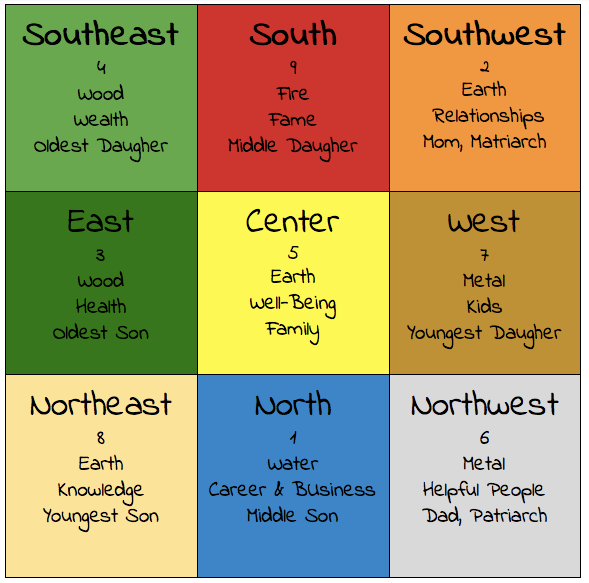 Here are some tips to Feng Shui some love into your life. First what type of room is this? For many this may be a bedroom, family room, bathroom. You might also find that portion missing in your home? If so, there are other ways to cultivate the energy of that space through intention setting or decorating the external portion where your love section would be. The function of the room plays a large role in the energy that exists there. Ideally, what do you want the room to feel like? Ideally, what types of relationships would you like to have? Did you enjoy the decluttering activity? What was your experience going through the items in your home or living space? Did it make you think that perhaps you may need to start going through other spaces that you inhabit such as your office or car? I find that once I begin to experience the change and ease that comes with removing items from my space, I want to experience that in all areas of my life. If you feel called to perform the decluttering activity in other portions of your life do so. 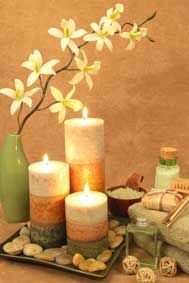 Now that you have spent time with the items within your home and cleansed your space we will look at the ways in which energy moves about the home. Let’s start with the basics, under the Chinese system of Taoism, the foundation of the Ultimate as Creation/Matter/Earth is in the form of a square and Heaven/Spirit/Sky is a circle that surrounds that square. That square of creation can be reduced to a broken line _ _ known as Yin. The circle can be reduced down to an unbroken line __ known as Yang. Thus we find balance through the Yin/Yang symbol. Here, we find the Yang (Heaven/Spirit/Sky/Male) represented by white and Yin (Creation/Matter/Earth/Female) represented by black. One is never without the other which is why there is always a spot of each on the other side. The Yang is at the top representing the South with Yin at the bottom for the North. If we use the concept of lines mentioned earlier, we find that by arranging the lines representing Yin/Yang we can symbolize the 4 directions. From there we can add a third row to denote the element associated with that direction as well. Thus we have three rows of lines featuring solid and broken lines. By adding an additional three rows we find ourselves at the IChing but that is for another day. We’ve been having some great discussions on the importance of cleansing and decluttering our homes to create space for new energy to be cultivated. Today I’ll share a quick decluttering activity to get us started. Pretty easy but that’s your activity for the day. Pick a surface, room, or portion of your home depending on your energy level and what your intuition guides you to tackle. From there you can use a portion of the room such as the center, corner, or reusable/trash bags to designate between the items that you will keep, throw away, recycle, or donate. Now this is an exercise that you want to provide plenty of time to complete because you will want to take a moment with each item that you encounter. For some it literally will be a quick second of regard. An item that you have no attachment to and are sure of where you would like to place that item will quickly be placed. Others not so much. Sit with the item and if you are wanting to keep it, what is your motivation to do so? Do you have an emotional connection? Nostalgia and sentimental value? Is it an item that you use often? Asking yourself these questions will help you to determine whether you actually need to keep that item. If it’s an emotional response, explore what that emotion is that is attached to the item and why. If the item is attached to emotions that you do not like, then perhaps it’s time to place that item in the donate or trash pile. You may have begun to notice that the items in our homes not only take up physical space but emotional, mental, and especially energetic space. While you are going through your things keep in mind that there is more tied to your items then just their physical presence. Clearing, moving, and cleaning gets this energy in motion or completely removed from your personal energy so you are able to create anew. Go over each item in the designated space you chose. Once you are finished, move all the items you have decided to keep out of the way and give the space a thorough cleaning. Repeat this process by moving from space to space and room to room until you have gone through your entire home or living space. Once that is finished use smoke, sound, water, or whatever your preferred from of energetic cleansing may be to clear your home. Check out my non-spoiler review of Annihilation. Oh you thought that we forgot about the food right? Here we are again at my favorite part of the week. Let’s return to our discussion on the brain, health, and spirituality. 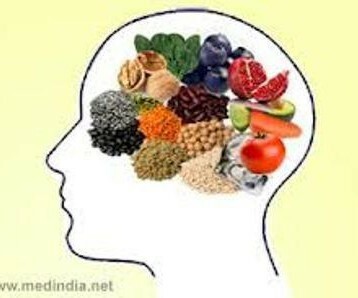 There are many foods that contribute to the health of our brain. We want to make sure that we are getting those healthy fats to make sure that the myelin sheeth stays pliable, strong and functioning well so those neural messages are able to be sent from . Then you want all the leafy greens an vegetables because they have all the vitamins, nutrients, and minerals. Lastly, of course we should be drinking lots of water to keep ourselves hydrated. 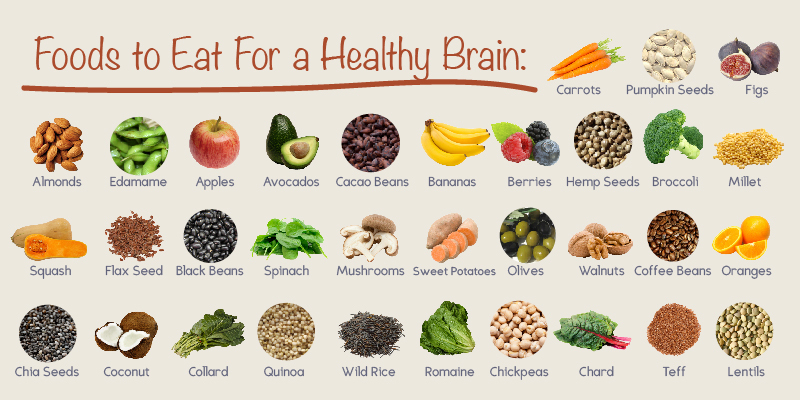 So here’s a list of food to keep your brain happy! These foods are perfect to throw into a salad or any Mediterranean inspired meal. Let me know what are your favorite recipes that feature these foods.